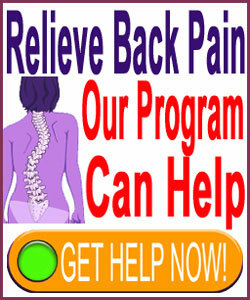 If you are looking for the real scoliosis facts, instead of myths that are designed to generate money for the medical establishment, then you have come to the right place. Finding quality, objective information can be difficult in this age of medical business masquerading as healthcare. In fact, it is the quest for money that continues to drive the propagation of various untruths concerning scoliosis, mostly by unethical medical and complementary medical professionals. Facts are difficult to define, since they are always in flux. Medicine is known to be a soft science, wherein facts change from year to year. What doctors believe to be 101% correct today often turns out to be 101% wrong tomorrow. Revision is the same of the game when it comes to healthcare. When considering scoliosis patients, one only needs to look at the modern historical record of the condition to see how often medical opinion has changed in the past several generations. We are proud to offer this factual account of scoliosis to help patients to separate truth from fiction. 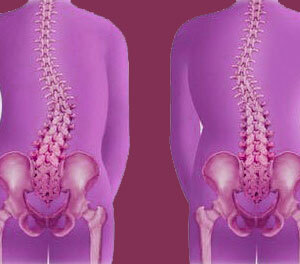 If you have heard something about scoliosis that worries you, then you can research the truth of the matter right here. This dissertation provides an unbiased and non-financially-motivated look at scoliosis from a truthful and honest perspective. Let’s begin with the most basic facts of scoliosis: The condition is not a disease, is not inherently harmful, is not inherently painful and in no way inherently diminishes a person’s abilities, attractiveness or potential. The only fact that can be universally applied to the anatomy is that scoliosis always involves an atypical side to side curvature of the backbone that is rated at a minimum of 10 degrees. Curvatures which do not meet the 10 degree threshold are not considered textbook normal exactly, but are also not qualified to be called scoliosis. Scoliosis does not just manipulate the side to side curvature of the spine, but can also change the entire 3 dimensional positioning of the spine within the body by altering the lordotic and kyphotic curvatures, as well as rotating individual vertebrae in response to these changes in curvature. In essence, most cases of moderate to severe scoliosis involve a complete remapping of the vertebral column from its textbook normal placement to areas of the anatomy where it would generally not exist. Symptomatic scoliosis can exist due to mechanical or neurological interactions in the spine, as well as interactions with the internal organs, such as the heart or lungs. When scoliosis becomes pathological, it becomes a difficult to treat health issue that may require dramatic and invasive care protocols to be utilized. The diagnosis of scoliosis should be a straight forward process where evidence is collected, analyzed and a decision rendered. However, the evaluation rarely is so perfectly executed and many patients suffer needless negative effects due to care provider blunders. In a perfect world, only people who show the signs of atypical spinal curvature that meets or exceeds the 10 degree minimum should be marked as potential scoliosis patients. People who demonstrate far less degrees of curvature should not be damaged by the suggestion that they have scoliosis when indeed, they do not. Diagnostic imaging should always be used to calculate the degree of curvature according to accepted and accurate protocols. There should be no margin of error when it comes to ascertaining the degree of curvature, as this margin of error is often used to convince patients that they require professional intervention when they actually do not. We regularly witness errors in the diagnosis of the degree of scoliosis exceeding 20% to 30% which is truly unacceptable. The psychoemotional state of the patient must always be considered as top priority during the diagnostic process. It is well known that very few cases of scoliosis present the type of anatomical scenarios that will guarantee painful symptoms. However, the psychoemotional consequences of a nocebo-filled diagnostic process will likely create pain for life. Therefore, the patient’s mindset should be managed just as carefully, if not much more so, than their anatomy. The most basic fact of scoliosis is that treatment is not necessary for most patients. When scoliosis treatment is needed and indicated, it generally should consist of constructive practices, such as exercise and weight management, rather than injections, oral drug therapies and surgery. Most minor to moderate cases of scoliosis , regardless of which variety, will not require professional interventions, but should always be monitored for progression by a qualified physician. For serious scoliosis that affects children, bracing is a good conservative option. However, there are many choices when it comes to which type of brace is best indicated, so parents should always take time and effort to examine their options before making a selection. Remember, a better indicated brace will help insure treatment compliance and therefore improve therapeutic outcomes. In adults, bracing is not often indicated, nor is it effective. In fact, most braces that are offered to help adult scoliosis sufferers are nothing more than overpriced security blankets than offer no actual efficacy for most curvatures. Surgery should always be held in reserve for the very worst cases of scoliosis that threaten life or basic functionality. The types of spondylodesis procedures utilized are very risky and entail a host of collateral negative side effects. For patients who must face these dangers, doctors should be honest about the risks and allow patients to make a determination on the best life path for them.